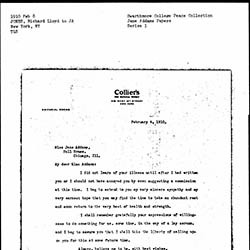 Addams apologizes to Dickey for forwarding the testimonial of Raymond Robins so late. 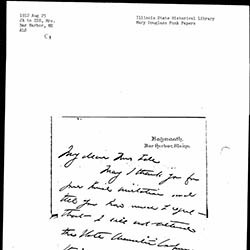 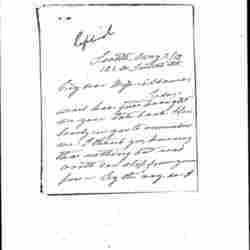 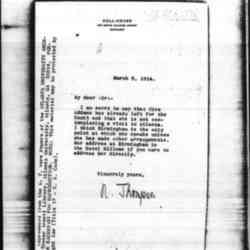 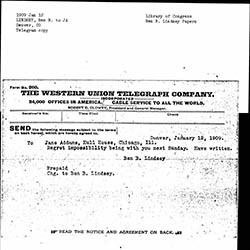 Addams writes Leppo to apologize for the delay in returning a corrected copy of one of her speeches. 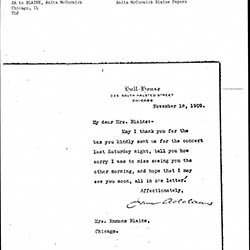 Addams apologizes to Salmon for the abrupt reply of a telephone operator. 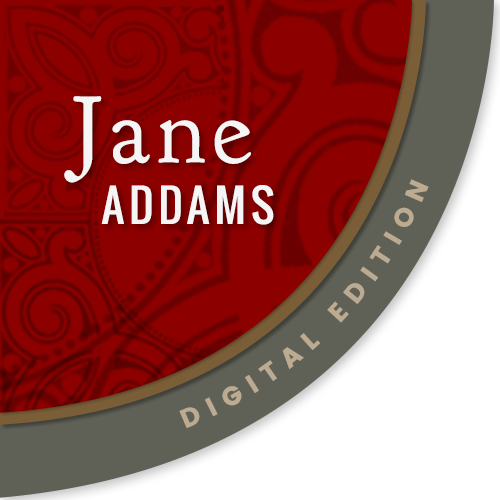 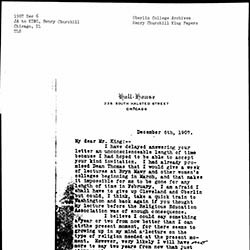 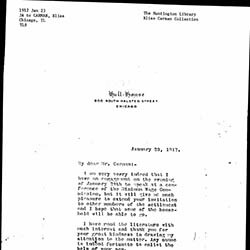 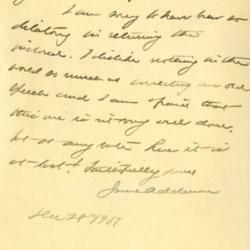 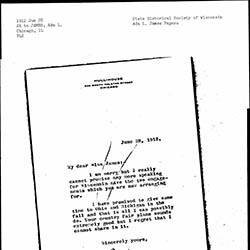 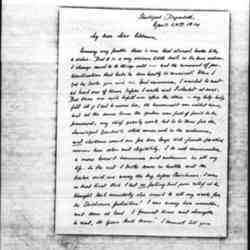 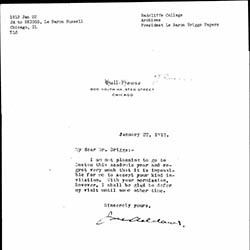 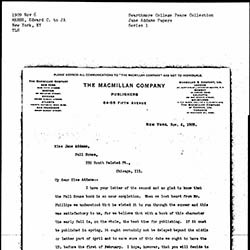 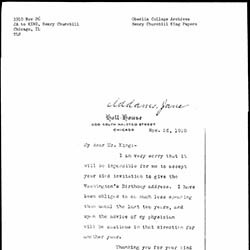 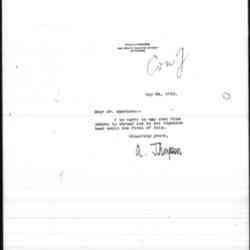 Jones apologizes for asking Addams to write an article during her illness and wishes her rest and recovery. 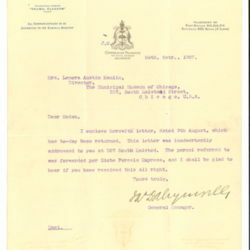 Forbes thanks Addams for a copy of her latest book and asks her to return the manuscript she sent. 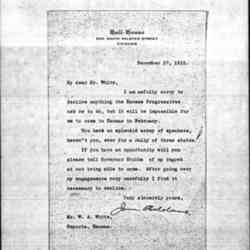 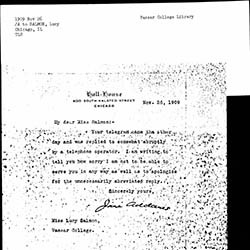 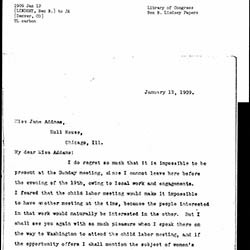 Addams declines Keller's invitation to lecture. 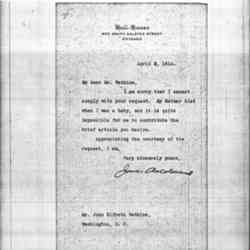 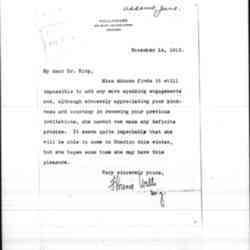 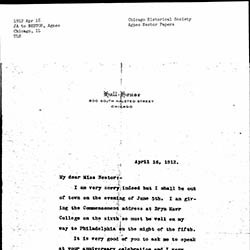 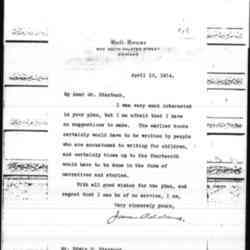 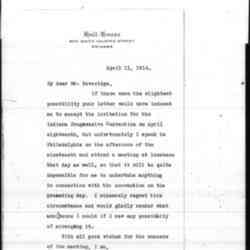 Thomas apologizes to Addams about some confusion between Helen Johnson and herself within the National American Woman Suffrage Association. 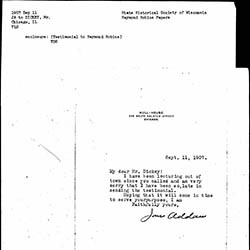 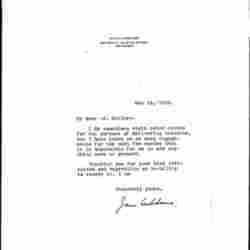 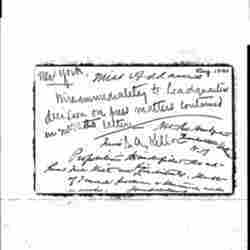 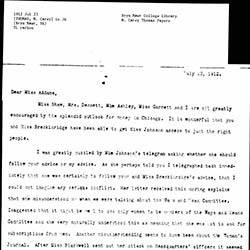 Addams writes Ide that she is unable to attend the State Charities Conference. 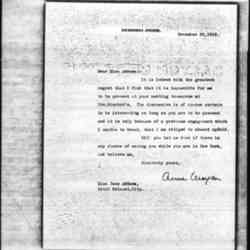 Thompson informs Speranza that Addams is abroad and not expected home until July. 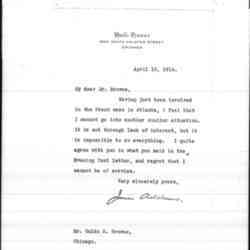 Addams cannot help Browne because she was recently involved with a similar case.